MMA is given a bad reputation in the media. 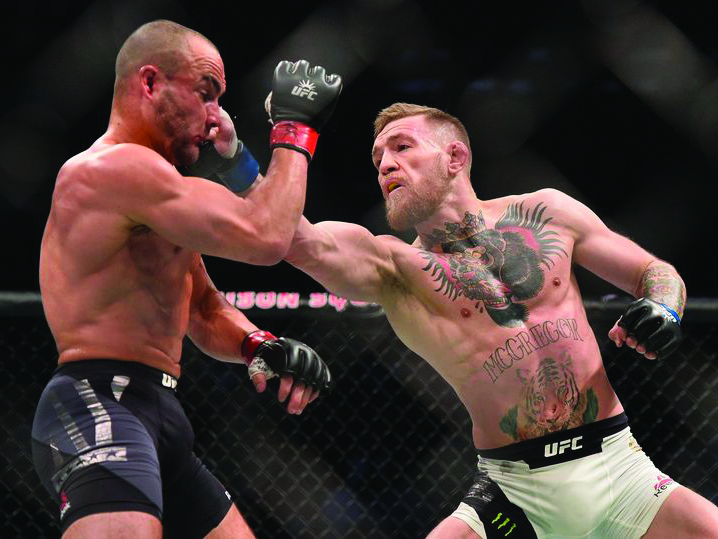 In this post-Conor McGregor society, it seems more so now than ever, the one sport on everyone’s minds is mixed martial arts. With recent events surrounding the MMA world this week showcasing a small part of this realm, some people have been lead to believe the myth, especially now, that MMA is a ‘savage’ sport. Although this claim is usually made by those who don’t have any ties to the MMA world. It can be easy for those who have never been involved in MMA to have one idea of what a sport or a culture is when that one side is all that the media showcases. To many involved in the MMA community, this very one-sided coverage of events surrounding MMA in the media is apparent. When events, such as what unfolded last week, get so much coverage while the charity work and kindness of the fighters off-camera get next to none, it can be easy to believe that these fighters are bad people, no matter how false that information may actually be. The reason this is easy to believe is that when you don’t know any MMA fighters personally, it becomes a lot easier to believe the misconceptions. The truth is, many fighters are creative, gentle, kind, and work incredibly hard to develop their skills. Sports such as boxing and rugby have equally high if not higher rates of injury, yet nobody calls it barbaric, this type of sport-snobbery is nothing new but becoming even more of an issue. These fighters dedicate themselves to their sport, so as to avoid actually causing lasting damage to their opponents or themselves, in the octagon. The fight is between two well-trained, consenting fighters in a very controlled environment, meaning serious injury in a professional MMA fight is actually rarer than you would think. For so many, MMA is an outlet. From many kids in low-income areas, to those who have used MMA to avoid going down the wrong path in life, or those who have used MMA to exit that path. For some people, MMA is life-changing, such as for 31-year-old MMA fighter and cancer survivor, Arron Beale. For Beale, since training MMA in Straight Blast Gym, he is a “completely new man with a new outlook on life”, a sentiment shared by so many in the MMA community. Overall, the kindness and skill I have witnessed from those who practice MMA both inside and outside of the octagon, make it really hard to believe the myth that every individual in the MMA world is actually what society may have labeled them as. And for those still unsure about mixed martial arts, perhaps take an MMA class and see for yourself.